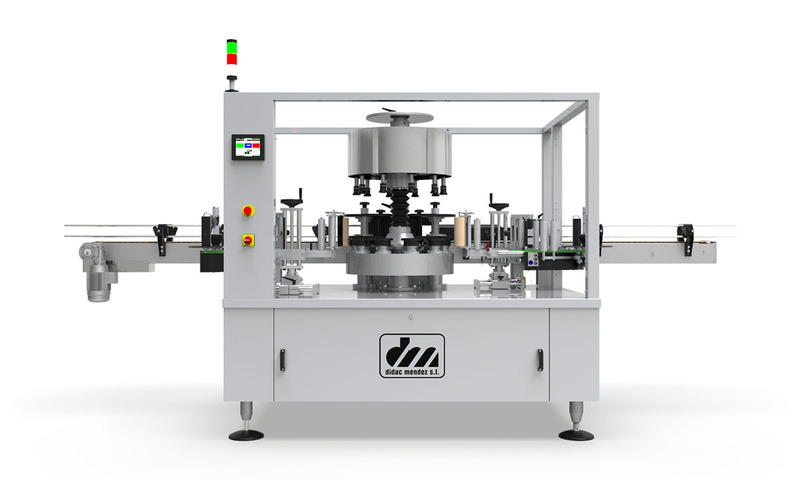 An automatic labeling machine is a machine that applies self-adhesive labels in a continuous manner, generally forming part of a packaging and labeling line. These mechanisms work without the intervention of an operator or simply with the help of them for the introduction of the products to be labeled. These models have one or several heads for the application of self-adhesive, and systems of separation and alignment of the products. They also have a conveyor belt and an accumulation table at the exit of the machine for the distribution or collection of labeled items, among other accessories. Automatic labeling is one of the most important processes in packaging chains, since it allows companies to differentiate their products with a personalized label and achieve added value in the fastest way. In addition, they inform customers or users of very important aspects in products and loads. Thanks to the automated one can realize big volumes of labeled, so it is the most chosen option in large factories. 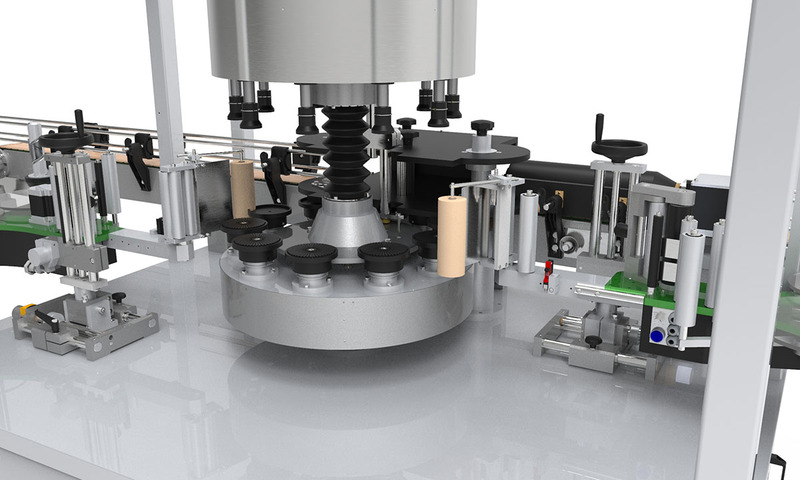 High-speed labeling and production equipment, designed to label more accurately any type of container, and capable of labeling containers of complex geometry. Equipment composed of a 6-plate carousel that gives name to this machine. Equipped with heads, adaptable in production and speed to any packaging line. It has multiple accessories that make it more versatile and increase its capabilities to supply multiple types of packaging. 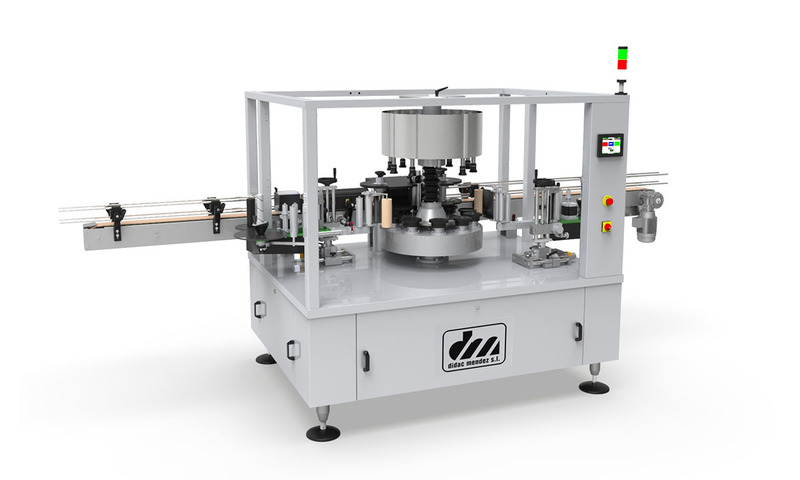 Production and speed adaptable to any packaging line. Equipment manufactured in stainless steel AISI304 and aluminum. Control panel in integrated column or independent desk. Synchronization of speeds with conveyor belt by encoder. Conveyor belt equipped with hinge chain or belt conveyor. Adjustment of the heads up / down, forward / back and tilting for conical containers. Sole engine to drive all the fastening elements of the container. Easy format change system (EXF - Easy eXchange Format). Protection cabin according to CE regulations. Ask us for a quotation of any of our products.